Don't wait for a small niggle to become a big problem and stop you doing the sport your love. A regular massage can help alleviate all sorts of work related injuries, aches and pains. Vicky has a BSc Hons from Liverpool University and has specialised in sport and massage therapy for 27 year. Now based at Brampton Heath Golf Centre. 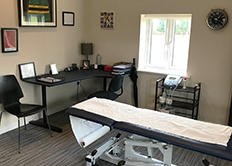 Covering all areas of sports and remedial massage, remedial acupuncture, ultrasound, rehabilitation and preventative measures for future injuries. 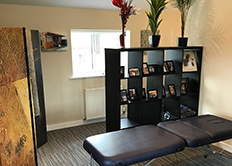 Thai table stretch massage and thai foot massage are used alongside traditional massage therapies to ensure the best results, whether for injuries or just to relax. If you need further information please do not hesitate to get in touch either via e mail vicky@vickyclarke.co.uk or on 07806 871895.
" She has been fundamental in me being fit enough to compete as often as I do. Without her help I would not have been able to play as many events as I have been. I would highly recommend her. Knowledgeable, professional and extremely relaxed and friendly."